Kids just love mud and it is very hard to keep them away from the mud no matter how much you try. But there is a smart and genius way to let the kids enjoy some constructive mud plays and a mud kitchen is the best thing to do that. A mud kitchen does not provide the kids some fun play but also let them develop some physical, social and imaginative skills also. So build them this cute and interesting DIY pallet mud kitchen as would fun to make it at home with your kids ending up as a great outdoor play station for the kids. The mud kitchen is a min I replica of a real kitchen with the sink unit, cabinets and shelf so that your little ones can act like true cooks and chefs making mud pies and cakes on it. it looks really a rustic piece in the unfinished look but you can stain it in some colorful hues to make it more attractive for the kids. 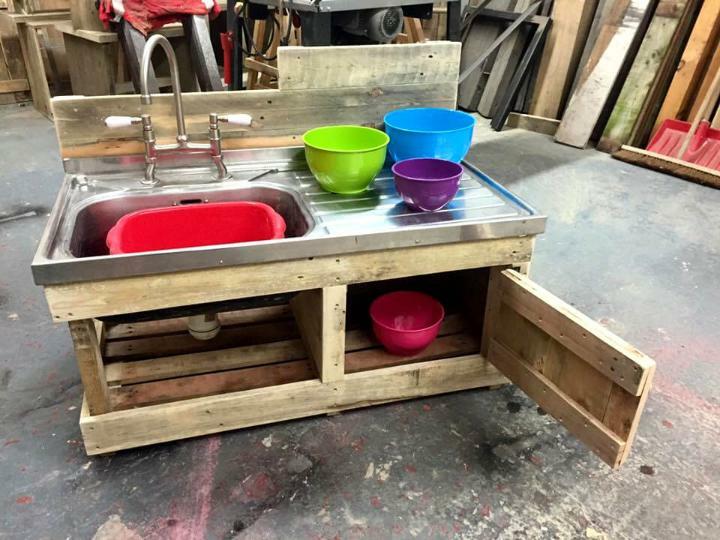 The pallet mud kitchen is the favorite thing of the kids to play outside their house and if you made one of such at home with your own hands you can have loads of fun with the kids making it and that too at free cost. 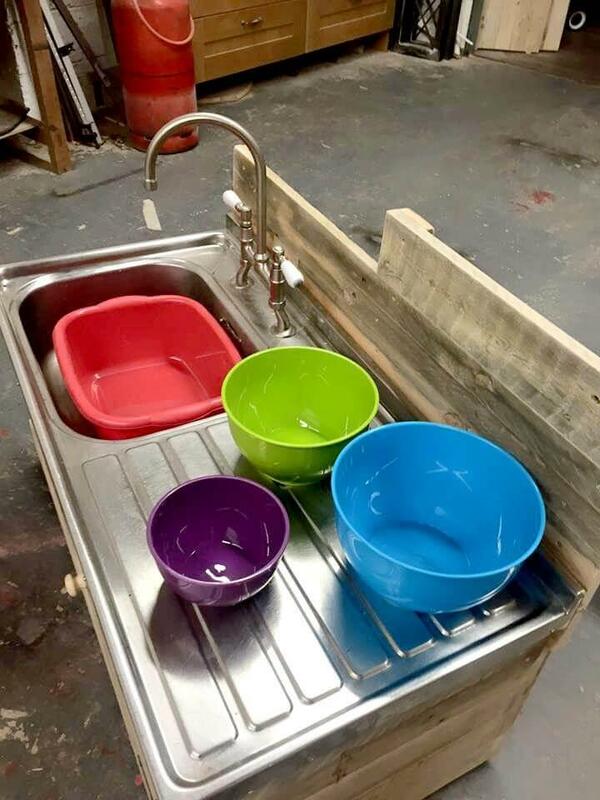 The mud kitchen has been built with the pallets and the and to make it look like a real kitchen it has been installed with a sink unit on the top where the ids can wash their tiny and cute pots while playing with the mud. 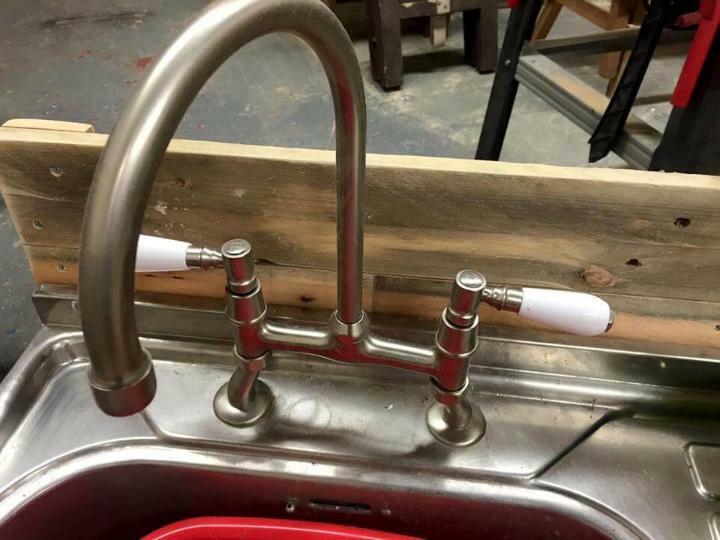 Here is the close view of the sink unit which has been inserted to the kitchen on the top with a wash basin of steel having a gorgeous faucet on it which makes it look really like a real kitchen to enjoy and play with. A part from the sink unit the kitchen has a cabinet and the shelf unit to at the base to hold and store their small and tiny pots and utensils when they have played with them and staining in the striking shades it can be made to look more gorgeous. 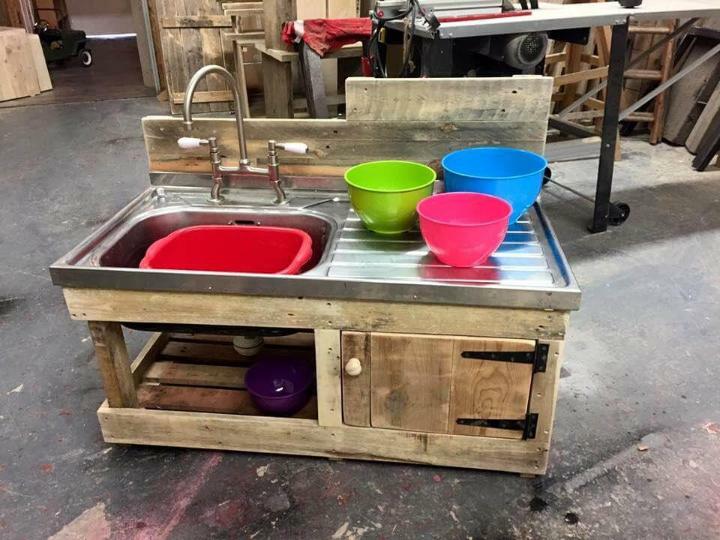 Pallet Kitchen Island Table - 40% Pallets!